What happens to a disqualified beneficiary under California probate law? 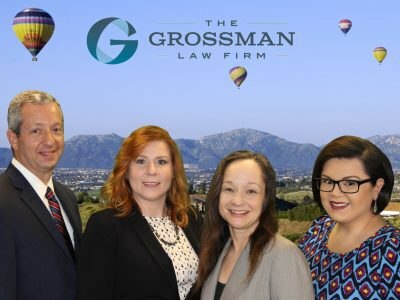 Under the laws governing wills and trusts in California, a disqualified beneficiary is one who is disqualified from receiving an inheritance in certain circumstances. For this reason, other beneficiaries or the executor or trustee of an estate or trust may bring forward a San Diego probate litigation matter. First of all, the transfer of the estate property is made as if the disqualified beneficiary predeceased the decedent. Additionally, the disqualified beneficiary is treated as if he or she did not have a spouse or any issue. Lastly, the disqualification amount is limited to the extent that the value of the transfer exceeds the intestate interest of the disqualified beneficiary. Probate litigation matters in California are complex. Further, there are statutes of limitations in place that could limit your ability to bring a claim. Petitioners have only until an order for final distribution is made in the case of estates that involve a will. For cases not involving a will, petitioners have the later of three years after the transfer becomes irrevocable or three years from the date the petitioner reasonably should have discovered the facts that indicate the beneficiary should be disqualified. 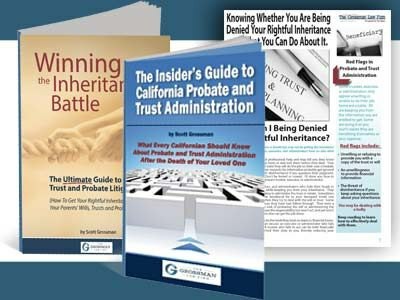 To learn more about the estate litigation process, view our free guide, The Ultimate Guide to California Trust and Probate Litigation. For further guidance, contact an experienced San Diego probate lawyer today. Call our toll-free number at (888) 443-6590 for a consultation. It would be our pleasure to further assist you. Person named in a Will as the person who will make sure that the instructions in the Will are followed. They are responsible for executing the Will, and are either appointed by the court or by the deceased person. They are responsible for taking care of a deceased person’s financial obligations. Financial obligations include disposing of property and paying bills and taxes. 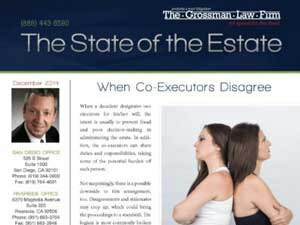 The executor must also make certain that the deceased last wishes are carried out according to the Will.